NIM is pleased to announce the addition of synthetic subcutaneous peptide injections to our treatment protocols. 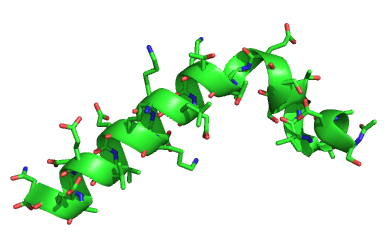 The first peptide we are offering is Thymosin alpha 1 (Ta1). This peptide has been approved by the FDA for treatment of malignant melanoma, Hepatitis B and C, and influenza. It is being further studied for antiviral properties, cancer treatments, as a powerful antioxidant, to supplement treatments for tick-borne infections, and immune modulation and boosting. It is indicated as adjuvant therapy for support of immune systems suppressed by chemotherapy. Thymosin alpha 1 has been approved for use in 30 countries for the treatment of Hepatitis and cancer. The thymus is a gland that is important in immune function. With age, this gland loses its ability to produce thymosin, a hormone necessary for T cell development and production. Extracts from the thymus gland of animals have been used as an immune booster for many years. Synthetic peptides are much more concentrated than the previous animal based compounds and are well tolerated and effective when given as a subcutaneous injection. The proposed mechanism of action involves restoration of immune function and modulation by augmenting T cell function and supporting the conversion of thymocytes to active T cells. If you think you may benefit from a significant boost to your immune system, to help with chronic infections or autoimmune disorders, you may want to discuss this compounded prescription treatment with your practitioner at your next office visit.